I feel like I am on a constant quest for a good drugstore BB cream. Everything I try seems to provide no coverage, slide off within hours, or have such an odd texture or tone on my skin that I’d prefer to be wearing no makeup at all. The Garnier BB cream was guilty of the first two, and the Rimmel BB creams I’ve tried just don’t sit well on my skin. The Radiance version is the worst offender–whatever it uses to give a glow to the skin makes me look gray! The Revlon PhotoReady BB cream is fine, but leaves me looking flat, pale, and again, gray. I almost gave up my search. But I was at my local grocery store to buy milk and eggs after returning home from vacation, saw this Physicians Formula kit and a coupon for 40% off all Physicians Formula products, and I bought it. This one may be the BB cream that changes everything I thought about drugstore BB creams. 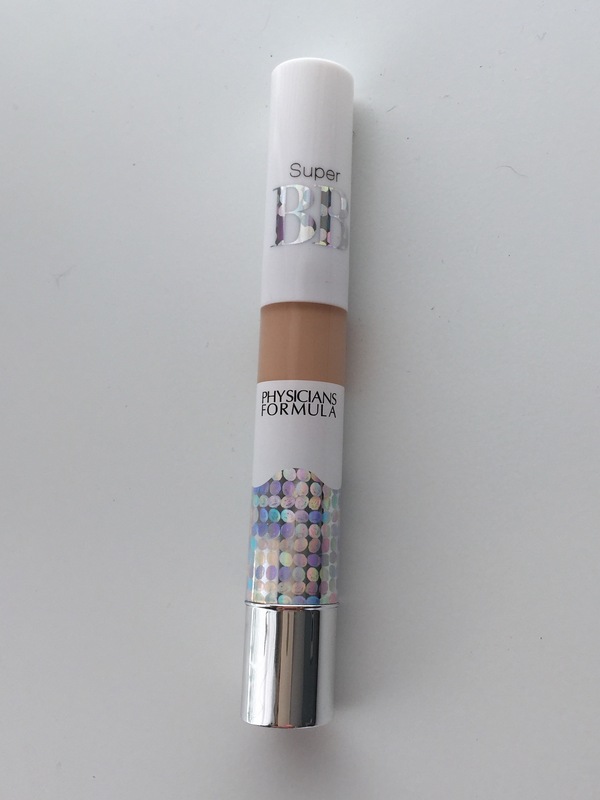 It contains a Super BB All-In-One Beauty Balm Cream, a Super BB All-In-One Concealer, and a Super BB All-In-One Beauty Balm Powder. To get right to the point: I love this kit. The products work beautifully together, yet they appear lighter and more skin-like than even the most natural of foundations, and I am incredibly impressed at the staying power. Used together, they last all day. We’re talking 14+ hours. Unbelievable. They really looked as good at the end of the day as they did when I applied them at 7 am. 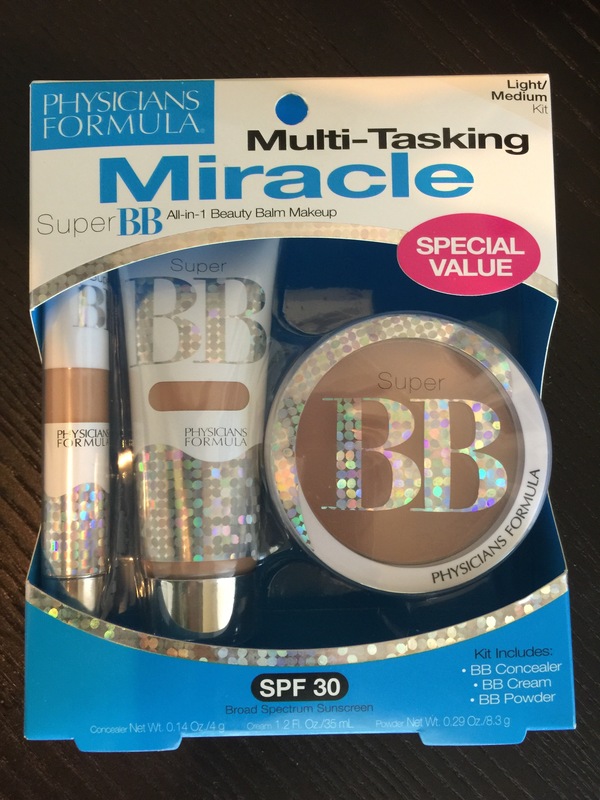 As an added bonus, both the BB cream and the BB powder have SPF 30. I’ll talk more about the products in a minute, but first, let me mention a few important negatives. I bought my kit in the shade light/medium. (I think there is also a medium/deep shade for the products, but I have yet to find a kit in that shade either in stores or online.) So an immediate con: shade range. There is only one as far as the kit is concerned. This is a constant complaint about Physicians Formula, and a very valid one. How can a few shades suit the variety of skin tones that exist? If you search these products online, many of the negative reviews concern the shade range. If it matches you, people tend to love the product. But obviously, there are many skin tones it won’t work for, and I really wish more drugstore makeup companies would realize this. The next con: the one shade they do offer (light/medium) is much darker than many light skin tones. I am the tannest I’ve been in years thanks to a long beach vacation, and I needed a darker base, so this is perfect for me. When that tan fades, however, I wonder if I’ll be able to use this! I almost bought a backup kit since I loved the products so much, but decided against it since I don’t know if the shade will match in a few months. So based on shade alone, this product will work for medium or tan skin tones. It does seem neutral enough that it could suit warm or cool undertones. I’ll update you in a few months to see how they perform on fair skin, since during the winter months, I am very, very fair. Now let’s go through the products themselves. 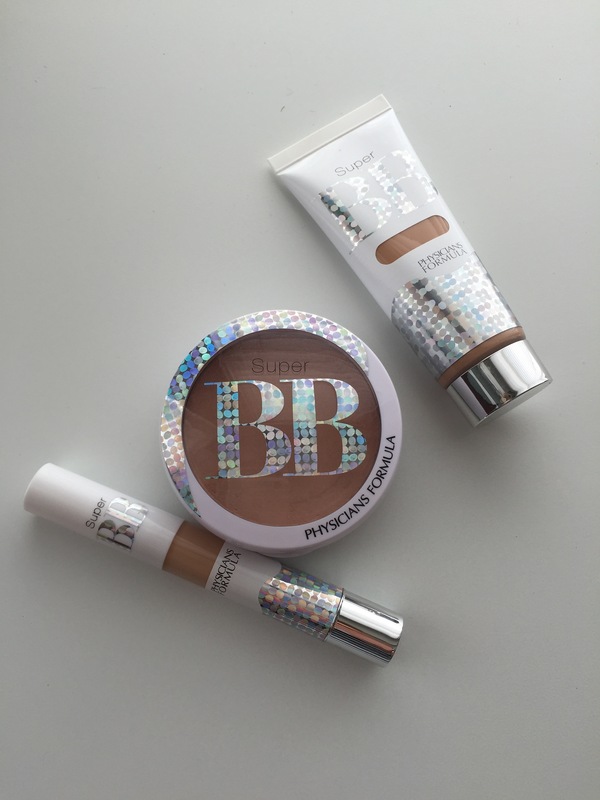 The BB Cream has a creamy texture and medium coverage. It doesn’t feel slippery or greasy like some BB creams I’ve tried. I have pretty dark sun spots on my cheeks–this didn’t cover them completely, but it helped them blend into my skin better. (The powder really added some coverage, but I’ll get to that in a second.) 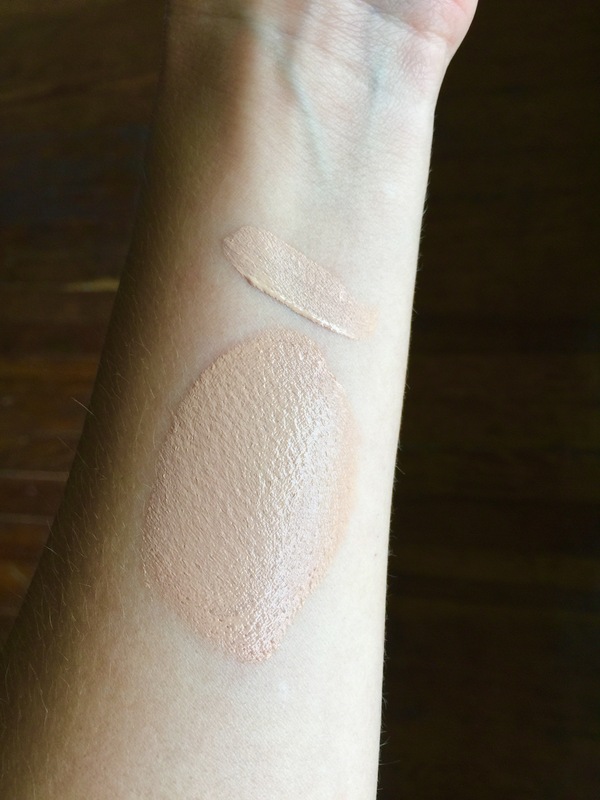 After trying a few methods of application, I’ve decided it’s best applied with a beauty blender or makeup sponge–this gives the most natural finish and even coverage. (Using a kabuki brush made it a bit thick and tacky-feeling.) You only need a small amount–a dollop about the size of a blueberry will cover your whole face. The cons: it does settle into fine lines around my mouth and forehead. To be fair, though, I’ve found very few products that don’t. I did try it with a primer–the Smashbox Photo Finish Primer–and that actually made it worse! Granted, this type of primer has never really worked for my skin, but I hoped it might fill in those lines a bit. It did, but it also made the BB cream just sort of slip off in those areas. So no creasing, but also no product. My best advice is to use a light moisturizer, something that is about half the moisture-level you’d use for a normal foundation, since the BB cream will add more moisture to the party. It did minimize my pores slightly, and as I said, the finish was just gorgeous. The BB Concealer really surprised me. It has a light-to-medium coverage, and seems to cover redness better than dark circles. I’d use a peachy corrector before the concealer if you have a lot of under-eye darkness. But my nose is always red and this concealer covered it beautifully and didn’t wear off or break down over the course of the day. (Of course, I set it with the BB powder.) It has a brush applicator (they call it a “flow-through” applicator) which is not my favorite, but you can always squeeze it onto your finger and pat it in. The bristles on the applicator are a little too stiff, and tend to pull off any foundation underneath. The applicator works well with the BB cream, but didn’t perform as well when I used the concealer with a different foundation. But overall it blends seamlessly and it very moisturizing–especially good if you have dry under-eyes. Just be sure to set it, or it will crease. Of the three, this is the one I might not seek out to purchase individually, but it works very well in the kit! I tried it with another foundation, and it performed well, but I have other concealers I prefer. Don’t rush out to buy it, but it is a solid addition to this BB kit. 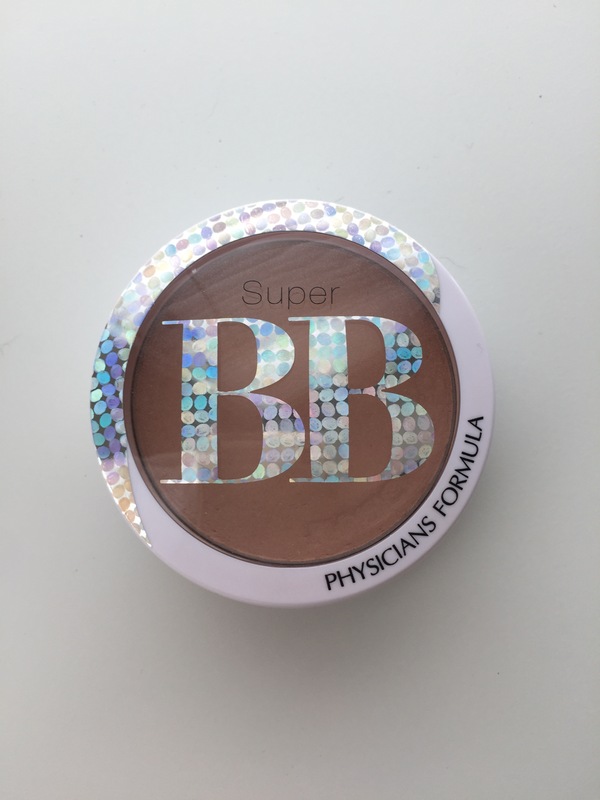 And finally, the BB powder. This might be the star of the show. It is a beautiful texture–finely milled and creamy. It feels a bit like their Butter Bronzer, if you’ve tried that before. It provides great coverage, and sets the cream and concealer very well. Since it is moisturizing, though, it does not look like you piled a ton of powder on top of very creamy products, as powder on top of other BB creams often looks. It feels more like a powder foundation than a setting powder, and the product actually says it can be work alone or over the BB cream. I haven’t tried it this way yet, but I plan to! It made everything seamless, natural, as flawless as a BB cream can be. 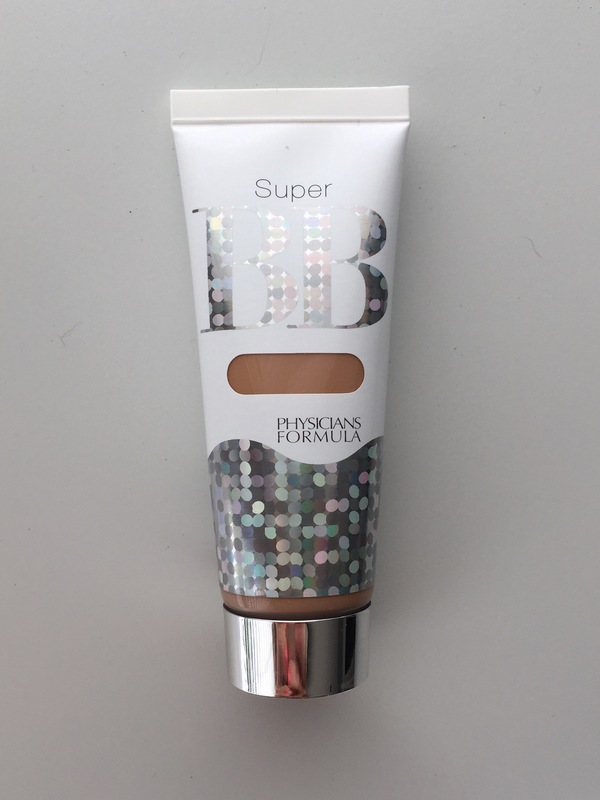 One sort-of con: I do recommend using a powder to set this BB cream–it does feel a bit tacky otherwise. Even with this BB powder your skin will not feel silky, and the powder does not make the products transfer resistant. It will leave a mark on your shirt, for example, if you pull it on after applying the products. But just be careful. It does not rub off if you rest your face in your hand throughout the day, which is a far bigger issue in my book–life with a small child means your face will be touched, pulled on, etc. These products hold up. I did try this powder with another foundation and it performed equally well. It is just a great product. So let’s talk price. This is a huge pro. The kit is a great value. It retails for 22.99 on ulta.com. Each item can be bought separately. The BB cream retails for 14.99, the concealer retails for 12.95, and the BB powder retails for 13.99. That’s 41.93 total. Also important to note: the concealer is not sold on ulta.com, so it must be purchased from another retailer. So the kit is about half the price of purchasing the products individually. If you wait for a sale, it’s an even better value. As I said, I got mine 40% off, but Ulta also does BOGO sales all the time (they have one now!) so grab this kit and one of Physicians Formula’s awesome bronzers (I recommend the yummy Butter Bronzer) and you’re set! Final Word: IF your skin is within the shade range of this kit, I highly recommend it. I do wish Physicians Formula would expand their shade range, though. I know I’m not the first to say this. Do you hear us, Physicians Formula? This is a great product and I love the kit–I would never have bought the concealer or powder separately but I’m so glad to have them! I will repurchase the BB cream as long as it matches my skin, and, oh, the powder! I am so sad it doesn’t come in a lighter shade so I can use a moisturizing powder all winter when my skin is so dry and flat. The translucent powder lover is changing her mind about pressed powders, all thanks to this beauty. Great kit, great buy. It is such a drugstore gem.